Buy on line on eBays affiliate here in Argentina and other South America countries, using MercadoLibre. Bob Frassinetti Arts and Antiques Team Procedure & Fees Welcome! We buy items on MercadoLibre in all South America auction sites/online shops on your order. All you have to do is to tell us what you want, where it is and we will do all the work for you. Enjoy exploring for rare items in South America! Procedure: Please send us an email with the website link of the item (either on auction sites or on regular online shops) and the maximum price you are willing to pay for the item. We will try to get the item for you. If we get the item successfully, we will ask you to pay for the fees (commission, and cost of the item). As soon as we confirm your payment, we will contact the seller. We'll let you know the cost of the shipment (international either local mail, to Fed Express UPS or even direct Air Freight or Cargo) an aprox before purchasing the item. Pay for the shipment. And the item is on the way! Fees: Commission: go from as low as 5% to a 10%, 20, 30% of the item price and up, all depends what?s its cost, it?s not the same work to buy you a trading card to buying you an Old Steam Engine or a Vintage Car or Motorcycle or even a condominium in Buenos Aires, Punta del Este or Villa de Tulumba?. The actual cost: the item, plus domestic shipment (by whatever means available and recommended), and plus then international shipment (converted into US dollar or the Euro, using our specified exchange rate). More Information email us, Bob Frassinetti and the Buenos Aires Art and Antique Team. Contact me for more information, Bob Frassinetti. "Bob Frassinetti Biz by iPhone" Home Page: http://www.iartdealer.biz Conact by Email: Email: admin@frassinetti.com Bob Frassinetti. Contact me by phone Skype, ID: Bob Frassinetti or you can also chat with me thru Yahoo, press here:iPhone Contact Find iArtdealer for Travel Information on Argentina! Where and how we can Help you ......... In Argentina, Chile or Uruguay. On Thursday, the city bank of Buenos Aires, Banco Ciudad, which prides itself on being the country’s top bank in the auctions business, holds its third “super special” auction of the year – and is already bracing itself for a packed auditorium and telephone lines buzzing with bids, amid what it says is a “sustained growth in public interest in investing in art”. In Argentina, where private estimates reckon inflation will end the year at 25 to 30 per cent (well above the discredited official data, which reports that prices have risen 6.7 per cent so far this year), buying art may be a new hedge. It could also be a way for Argentines to maintain a sense of sophistication. Argentines gloried in their humble peso being equivalent to the mighty dollar during the 1990s – until the unsustainable currency peg spectacularly collapsed in 2001-02. Whatever the reason, visitors to the auction section of Banco Ciudad’s website have doubled in the past month and there are 20 requests a day to receive auction catalogues online for bidders to browse the relative bargains on offer. Reserve prices for Thursday’s auction of Argentine artists start as low as 1,500 pesos ($380) and the biggest ticket work is Vito Campanella’s oil on canvas, “La Payada” , which starts with what the bank calls the “very tempting” price tag of 15,000 pesos ($3,800). The bank’s first two auctions this year raised more than 4.4m pesos ($1.1m) and artworks have gone under the hammer for more than 50 per cent more than their reserve prices. 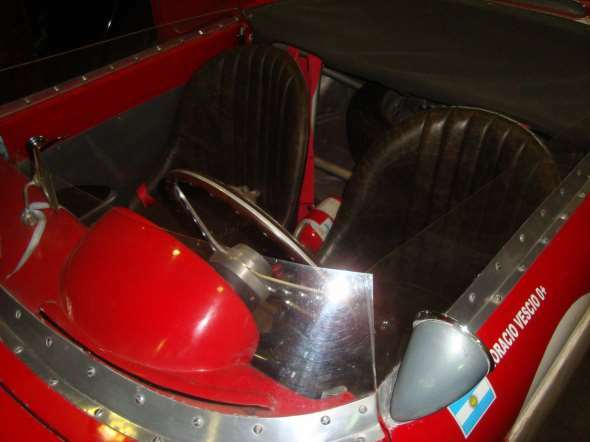 All inclusive art and antique tour for all Argentina, arts and antiques of great quality have positioned our country as the moment’s hot place for dealers and collectors. This country features a unique culture with the best influxes of Latin America and Europe.